The progressive project this year is great! Very flexible! 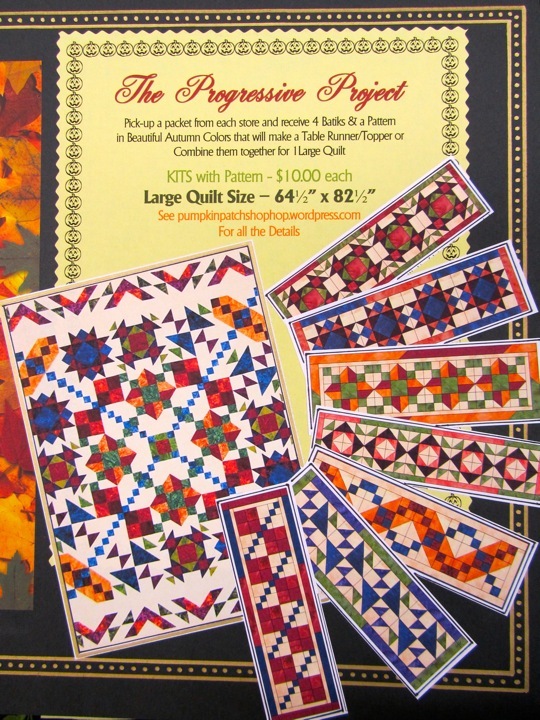 Pick up a packet at each shop for $10 and receive a pattern and four batik fat quarters in autumn colors to make a table runner/topper or combine all seven patterns and fabric packets to make one large quilt! Large quilt finishes to 64 1/2″ x 82 1/2″.